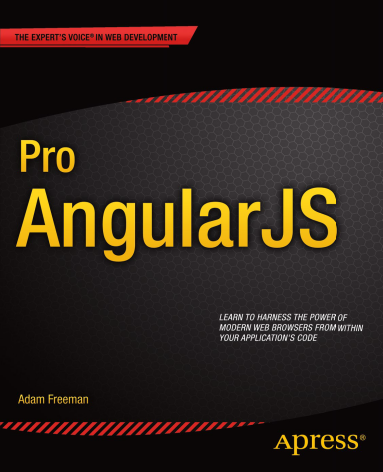 Best-selling author Adam Freeman explains how to get the most from AngularJS. He begins by describing the MVC pattern and the many benefits that can be gained from separating your logic and presentation code. He then shows how you can use AngularJS\’s features within in your projects to produce professional-quality results. Starting from the nuts-and-bolts and building up to the most advanced and sophisticated features AngularJS is carefully unwrapped, going in-depth to give you the knowledge you need. Gain a solid architectural understanding of the MVC Pattern to separate logic, data and presentation code.